Louisville is on the move, and this clock will remind you of our community's progress as you travel. 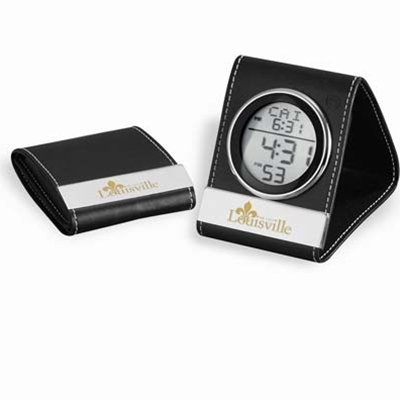 The Louisville Metro Logo is prominently displayed on this compact alarm clock, trimmed in leather with a digital display. The clock folds flat for easy transport, and comes with a gift box. Batteries are included.